Though often dismissed as eyesores, quarries represent one of the oldest and most vital extractive industries. The few surviving building-stone quarries employ some centuries-old methods, and the getting of good-quality stone requires great care and skill. 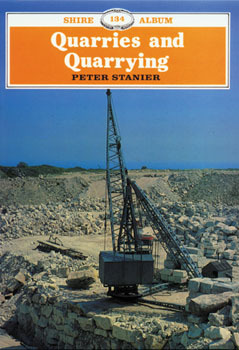 This book deals with four types of important rock types (granite, igneous, metamorphic, sedimentary) to explain the methods employed as well as mentioning other types such as modern roadstone quarries. Fully illustrated with vintage photos and expertly written, this book is certain to thrill anyone with an interest in metallurgy, quarrying, geology, the industrial arts...etc!